Evan Bradley was recently crowned as the deserving grand prize winner of our Match the Master contest. 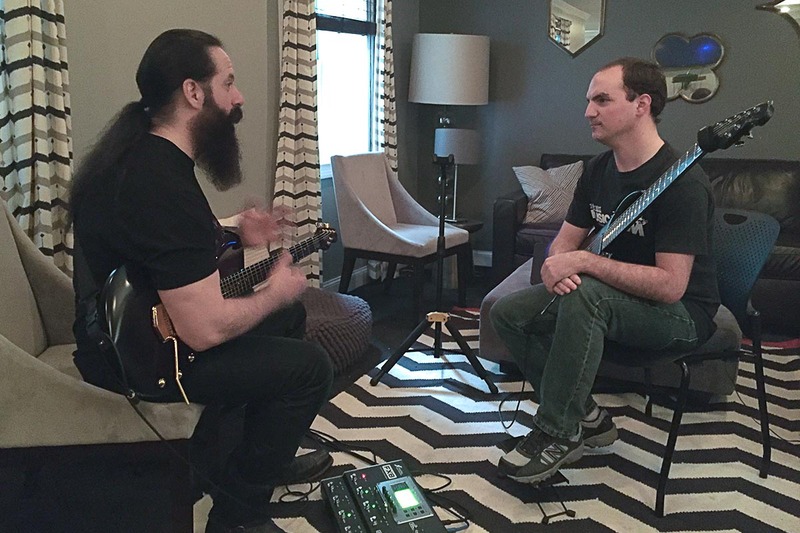 Part of his prize package was a master class with John Petrucci himself, and both were looking forward to sitting down for some virtuoso guitar talk. This past week, John and Evan met up to do just that, armed with their Ernie Ball Music Man Majesty electric guitars. Evan also saw Dream Theater’s soundcheck, met the band, and saw a show with a VIP experience. If you haven’t yet, check out Evan’s playing below. Thank again to all of our participants, and a big thank you to our sponsors. Keep playing and look out for future contest announcements! Steve Vai In Studio with his Ernie Ball Music Man "Divya Dora"